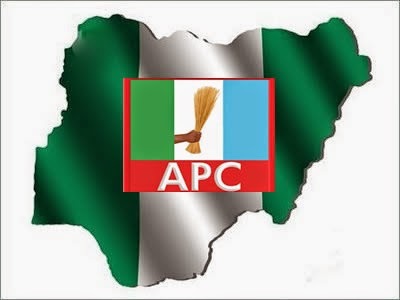 The All Progressives Congress (APC) has accused the Jonathan administration of plotting to hinder the smooth handover of power to the incoming administration to be led by Major-General Muhammadu Buhari (rtd) on May 29. Reacting to Jonathan’s charge that Buhari was running a parallel government, the party said it is becoming apparent that the Jonathan administration would not fully cooperate with the incoming government, despite its public posturing in that regard. APC described as illogical and strange the claim by Jonathan that the president-elect was trying to set up a parallel government simply because he had set up his own transition committee and given it terms of reference. In a statement on Thursday by its National Publicity Secretary, Alhaji Lai Mohammed, the party also described the president’s allegation as an “act of hostility, patently misplaced aggression and unnecessary vituperation against the incoming Buhari administration” ostensibly because of the terms of reference of the Buhari transition committee but in reality part of an orchestrated plot to sabotage the transition. It rejected the continued blackmail by the Jonathan administration as a result of the president’s concession of defeat, wondering whether the concession, gracious as it was, has now become a shield for all wrong doings. “We are sick and tired of being blackmailed by the Jonathanians. Buhari won the 28 March presidential election fair and square, having satisfied both constitutional and other statutory requirements. We have no apology for our victory, and the concession of defeat – while it may have increased the political stock of President Jonathan – has by no means diminished the historic and emphatic victory of Buhari and APC,” the party said. Justifying its statement that the Jonathan administration was plotting to hinder the smooth transition of power, the party said while the outgoing government had earlier issued a memo to all ministries, departments and agencies (MDAs) to make sure their handover notes were ready by April 20, the same government has now reversed itself and said the handover notes would not be ready until May 14. “With the new date, the Buhari transition committee will have little or no time to take a thorough look at the handover notes or seek clarification on knotty issues, effectively handing it (Buhari transition committee) a fait accompli as far as the handover notes are concerned. “This does not augur well for a smooth transition and gives the impression that the outgoing administration is trying to hide something. APC described as illogical and strange the claim by the Jonathan administration that the president-elect was trying to set up a parallel government simply because he had set up his own transition committee and given it terms of reference meant to guide the members on the discharge of their duties as members of that committee, wondering how on earth those terms of reference have become the concern of the outgoing Federal Executive Council (FEC). “In case the Federal Executive Council has forgotten, Buhari of the All Progressives Congress was declared the winner of the March 28th presidential election by INEC. “Buhari is therefore today the president-elect and the APC the incoming government. It is therefore illogical to accuse the president-elect and the incoming government of setting up a parallel government. “It is either the outgoing Federal Executive Council has something to hide or is bent on sabotaging the incoming government. There can be no other reason for the misplaced aggression that was exhibited in that ill-intentioned, unprovoked and vitriolic statement from the Jonathan government,” the party said. It said that in order to put the matter beyond doubt, the party had decided to publish in full the terms of reference in question so that Nigerians could judge for themselves whether there was anything suggestive of intimidation or running a parallel government in the document. APC warned the Jonathanians not to overstretch the goodwill which the president has earned by his gracious concession even before the Independent National Electoral Commission (INEC) officially declared Buhari as the winner of the presidential election, adding that while it was momentous, it was not unprecedented in Africa, where power has changed hands peacefully between the ruling and opposition parties in several nations. “Are they now saying that because the president conceded defeat, the incoming administration can no longer ask legitimate questions or seek clarifications that may arise from the handover notes? “We will not surrender to any blackmail, subtle or otherwise. We shall ask questions and ask for explanations and clarifications whenever and wherever we deem such necessary. “We cannot run a transparently honest government or fight corruption if we are prevented from asking legitimate questions and seeking clarifications from the outgoing government during the transition process. “Let the Jonathan administration not tie our hands behind our back just because he conceded defeat after losing an election,” the party said.